This entry was posted on September 25, 2010, 11:58 am and is filed under PC, PS3, Xbox. You can follow any responses to this entry through RSS 2.0. You can leave a response, or trackback from your own site. Just a quick comment from the ‘casual gaming bro’…. 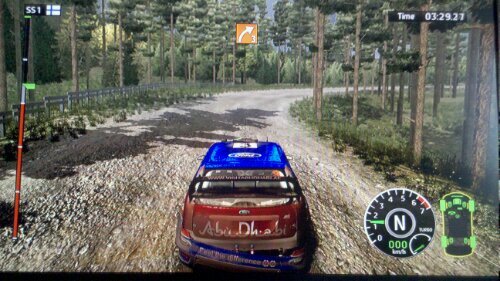 I have been looking forward to this release for a while, I’ve always loved a good rally game and now without my xbox 360 I am back on the pc. Yep it was a nightmare finding the pc version to download but on the whole, quite impressed with the gameplay, it definetly feels more like a proper rally game and I will definetly purchase the game on the 8th October. I think it’s a decent first go at the license and will no doubt be improved for 2011. It’s just a shame that the WRC has such little variety in the car department. Since when are hairpins long winding 2nd gear turns? Maybe RBR is the only rally game with real hairpins :). I like the setup options. At least there is more choice than in DIRT2 and the car can behave differently.